Independent distributors and employees from Herbalife Nutrition recently volunteered for the Special Olympics Southern California Fall Games, which featured over 570 athlete participants at Fountain Recreation & Valley Sports Park. 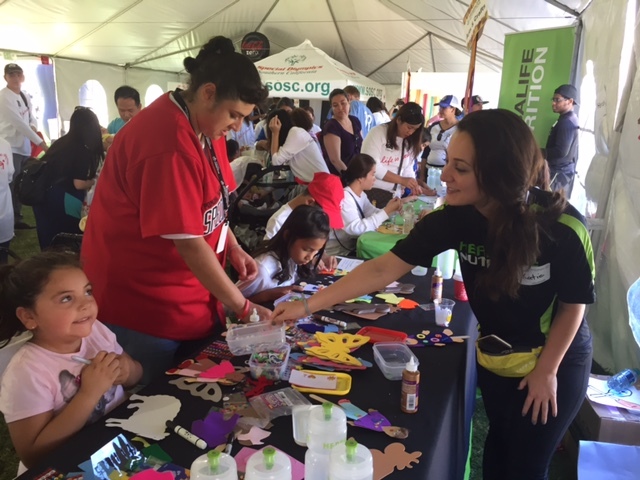 Herbalife hosted a branded arts and crafts booth at the event where athletes made picture frames, book marks, beaded key chains, decorated canvas bags and more. The distributors and employees who volunteered came away with a sense of purpose and memories to last a lifetime. Special Olympics Southern California (SOSC) enriches the lives of more than 26,000 athletes with intellectual disabilities and their communities in Southern California through sports, education and athlete health. The organization delivers high-quality, year-round competition and training opportunities in an inclusive culture that stresses athletic excellence, rewards determination, emphasizes health, and celebrates personal achievement. “It was an honor to volunteer at the Special Olympics Southern California Fall Games, represent Herbalife Nutrition and bring smiles to the athletes with our crafts,” said independent distributor Trina Andry. In September, Herbalife Nutrition was excited to announce a $1 million sponsorship of Special Olympics to support the organization, focusing on physical fitness. Leveraging Herbalife Nutrition’s global team of more than 300 staff scientists and 36 Ph.Ds. specializing in nutrition and sports performance, the Company will lend expertise and educational content including videos and other materials for coaches, athletes, care givers and the broader Special Olympics community. As part of the sponsorship, Dana Ryan, Ph.D., senior manager, Sports Performance and Education, joined the Special Olympics Global Fitness Task Force to bring additional perspective and expertise to support Special Olympics athletes, coaches and families. The Global Fitness Task Force is an international committee of fitness experts and athletes collaborating to improve Special Olympics athlete sport performance and health through the vehicle of fitness.